Exquisite design plus impeccable craftsmanship equal sonic bliss. 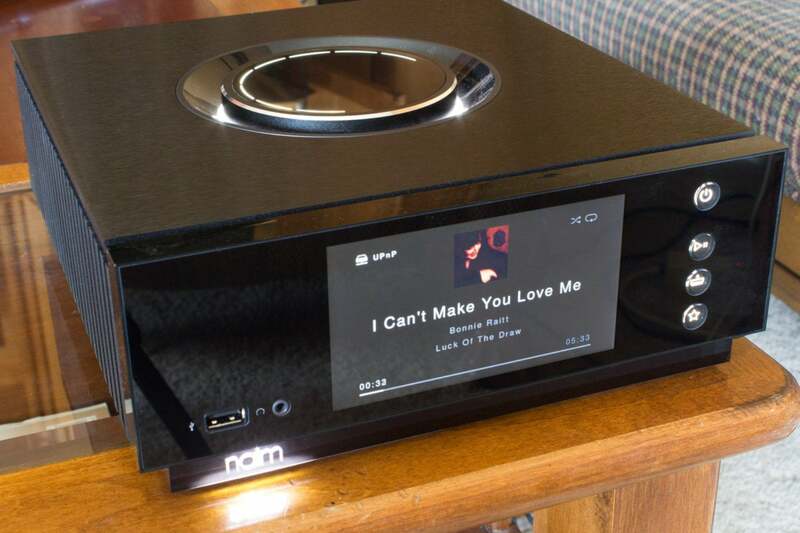 Streaming MP3s through Naim Audio’s Uniti Atom would be like sipping jug wine from Baccarat stemware, but feel free—Naim isn’t about to judge you. The British manufacturer of top-shelf audio gear has built support for almost every music source you can think into its glorious Uniti Atom all-in-one music streamer. 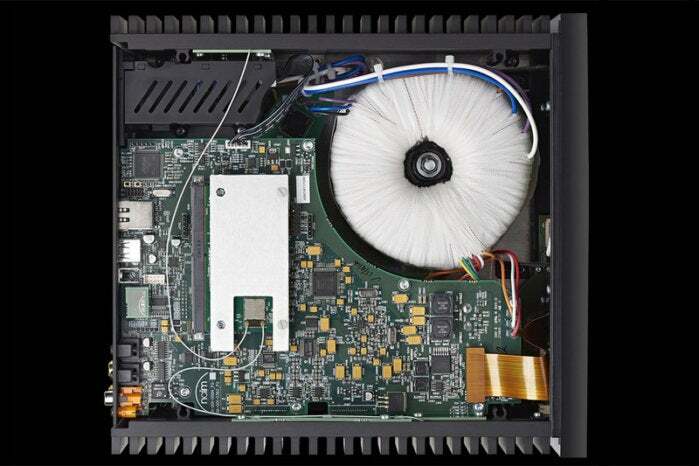 “All in one” is an appropriate designation, because the Atom houses a high-end Burr-Brown DAC, a 40-watt Class AB amplifier, a UPnP server, and networking infrastructure (wired ethernet as well as 802.11ac) inside its extruded aluminum enclosure. It can stream music from a network server, pull music from an attached USB storage device (via front and rear ports), receive music from Bluetooth sources such as smartphones and tablets (with support for aptX HD), and connect to internet radio stations, Spotify, and Tidal Hi-Fi. Naim doesn’t play platform favorites, either: There’s a built-in Chromecast and support for Apple AirPlay, too. The Atom can also operate as a node in a multi-room audio system, streaming music to other Naim components, such as the delectable Muso wireless speaker. The Atom can also be paired with Naim’s Uniti Core, a hard disk enclosure and server with an integrated CD ripper. When you approach the Atom, a proximity sensor changes its display to present more information, and the volume level is indicated on the huge dial atop the enclosure. The Atom is equipped with a gorgeous 5-inch display on its front panel that shows album art while music is streaming. Approach the device and a proximity sensor will momentarily change the display to show a smaller image along with the name of the current track, the artist’s name, the album name, and the track’s elapsed time. When music is not playing, the home screen shows the Atom’s sources, which you can select using the included remote control (alas, the display is not a touchscreen). The Atom is Roon Ready, so if you’re running a Roon server on your network, it will automatically discover the player so you can feast on that software’s rich metadata. 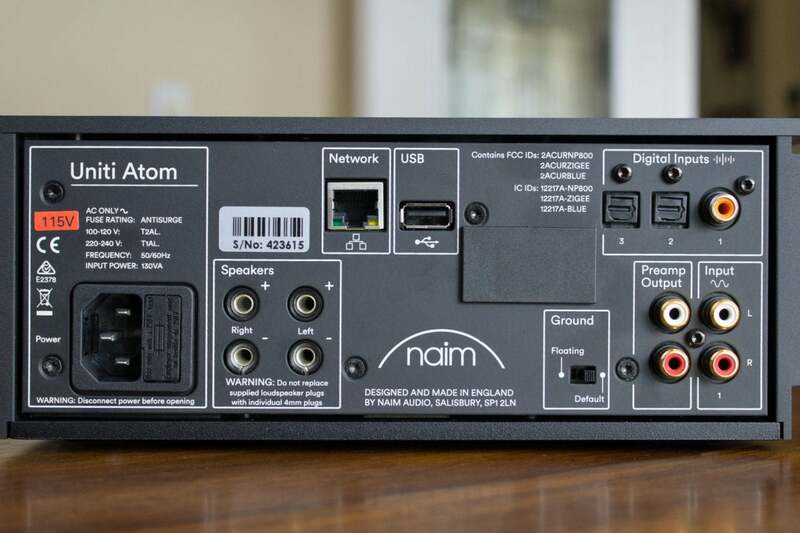 Naim’s engineers could have bundled a conventional IR remote with the Atom and called it a day. They instead built a device with a low-power-consumption ZigBee radio for two-way communication and to eliminate the need for line of sight. Its 21 buttons are backlit (lighting up when you pick it up), so you can use it in a darkened room. A ring of LEDs circling the D pad indicates the current volume level, matching the display on the oversized volume dial that dominates the top of the player itself. 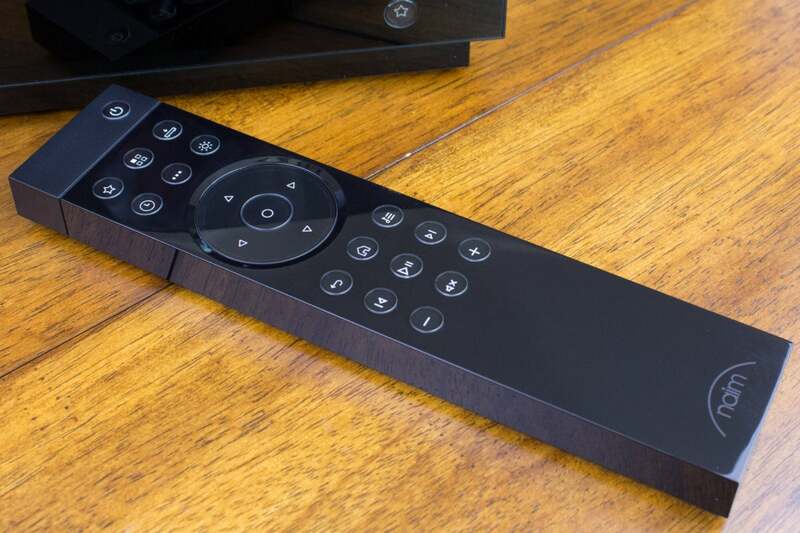 Naim uses the ZigBee protocol to allow two-way communication between the Atom and its excellent remote control. The remote doesn’t provide enough range to control the Atom from afar, but you’d want to use it in conjunction with the front-panel display most of the time anyway. When you can’t be in front of the device, Naim has an excellent Android and iOS app (suggestion: Queue up a long playlist, so you don’t need to repeatedly unlock your device to play the next track). The Atom can decode high-resolution FLAC files (up to 24-bit resolution and 384kHz sampling rate), of course, but it goes further to also support DSD64 and DSD128 files. It can also decode the WAV (up to 32-bit/384kHz), Apple Lossless (up to 24-bit/384kHz), OGG and WMA (up to 16-bit/48kHz), and MP3 and AAC (up to 16-bit/48kHz, 320kb/sec) codecs. There’s just one file format left to be desired: MQA. The presence of two optical Toslink inputs (supporting digital streams up to 24-bit/96kHz) and one coaxial digital intput (supporting up to 24-bit/192kHz streams) enables the Atom to function as an outboard DAC, too. A large toroidal transformer ensures a smooth and steady supply of electrical current for the Uniti Atom. I tested the Atom with a set of the previously reviewed Q Acoustics’ Concept 20 bookshelf speakers via QED XT40 speaker cables, but it’s also equipped with a pre-amp output if you crave more bass response than your stereo speakers provide on their own. And if you find the onboard amplifier wanting, you can use the pre-amp output to harness the Atom to something more powerful. I didn’t find that at all necessary to fill my 247-square-foot home theater with sound, though the presence of an onboard RIAA pre-amp for connecting a turntable would have been a welcome addition. There’s an onboard headphone amp and a 3.5mm connection for private listening sessions. The Atom sounds every bit as wonderful as you’d hope a $3,000 audio streamer would, rendering the screaming horns on Joe Jackson’s “Rant and Rave,” from his high-energy Blaze of Glory album, with impeccable authority and clarity. Shifting gears a bit, I next played Bonnie Raitt’s “I Can’t Make You Love Me,” from her Luck of the Draw release. Drummer Tony Braunagel opens this track by slapping his brushes on the snare drum and then striking a cymbal with them, and you can practically hear each bristle make contact. I’d ripped those tracks from CD, encoded them in FLAC, and stored them on a WD MyCloud Mirror NAS box running Plex Media Server. 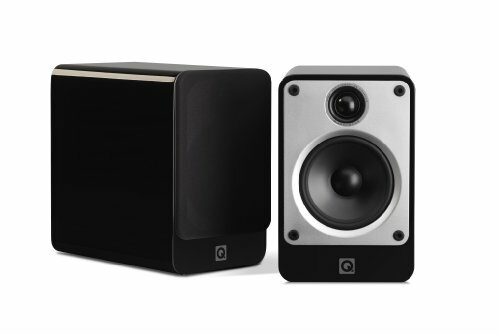 Want to use a sub with your bookshelf speakers? How about a more powerful amplifier? Do you like the Uniti Atom's DAC enough to use it with other gear? Naim can accomodate all that and more. If you prefer the convenience of a streaming service such as Tidal or Spotify, it’s best to launch those apps and stream directly to the Atom. Once you’ve started a playlist, you can use the remote to move back and forth along the queue, pause music, and control the volume. But you can’t select playlists using the remote or the Naim app. Both services will display relevant album art, and the proximity sensor will function the same as it does with tracks played from a server or other digital source. The Atom sounded great even with the relatively low-resolution (320kbps) streams that come with a paid Spotify subscription. Tidal streams in FLAC, of course, but the Atom can’t decode the MQA streams that service offers. Naim doesn’t just design the Uniti Atom in the U.K., the box is also made there. That manufacturing decision—not just the bill of high-end materials—surely accounts for a good chunk of the Atom’s substantial price tag. What better way to ensure quality control? If this streamer fits your budget, you’ll find the experience worth the price. 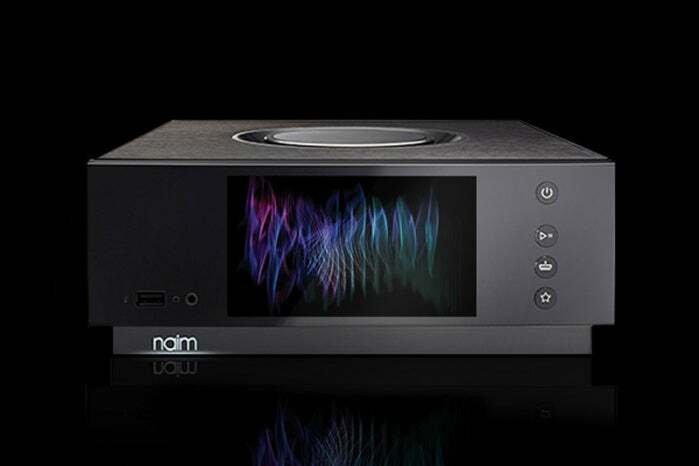 One of the finest music streamers we've reviewed, Naim Audio's Uniti Atom knocked our socks off with its impeccable design and scrumptious musicality.